I said I wasn’t going to come back and yet, here I am. I have no idea if this will stick or not, but I feel compelled to try. I blogged about books for almost four years and life got in the way, but a part of me just wants to come back, so here I am. I am sad to see a lot of bloggers I followed before are no longer around (hell, it’s been three years almost since I disappeared! ), but for those of you still blogging, it’s great to see you. I admit, I have a little bit of prejudice against Dean Koontz. His books, in my mind, aren’t “worthwhile”. Quick reads, nothing with substance. This is the same notion I had about Stephen King (I know, shame) until I read 11/22/63. But a friend got a box of books give to her by an acquaintance and let me dig through it and when I saw this, I just thought, why not? A book about a plane crash sounds interesting enough anyway. So I took it and left it on my bookshelf for months and months, as you do, until one day I grabbed it and started reading. And it was great. Sole Survivor is the story of Joe Carpenter. He is a broken man. His wife and two young daughters died in a plane crash a year ago when their flight, Nationwide 353, went down in the fields of Colorado. Joe is trying to learn to live life without them but he is failing. Until the one year anniversary of their deaths, when he meets a woman claiming to be a survivor of flight 353. This was good stuff. The story started to get stranger and stranger, and the more Joe dug into the crash, the more intrigued I was. There was no possible way anyone could have survived a 747 plummeting straight into the earth, yet Rose Tucker makes a pretty convincing story. The deeper Joe got, the more invested I got. At one point I was reading in the car and the shock of what was happening cause me to toss the book onto the floor with delight. I had tears in my eyes. My husband implored me not to tell him anymore about the book because he decided he was going to read it next. It was that kind of book for me. So I’m sorry, Dean Koontz. I shouldn’t have judged you so harshly. This was a fantastic read. 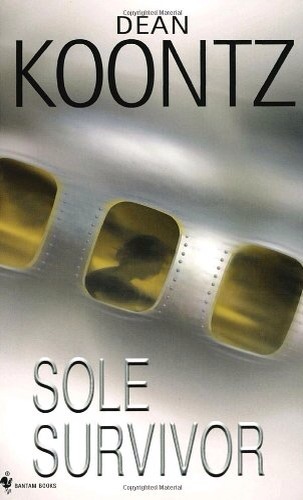 Please feel free to tell me in the comments if there are any other Dean Koontz books I must read!